"Tall tales" have always existed in our lives. And now, with the internet, it has become so much easier to spread them around. Most of them are just innocent jokes, but there are some that may cause you financial problems. WeGoRo made a list of 12 popular myths that were taken seriously by social media users. You may see some creepy online images and videos that have secret stories behind them. When you find them, it’s extremely hard to realize that it’s all about advertising of some sort. The legend of this man, who allegedly has been seen by the majority of the population in their dreams, is a great example of viral marketing. In reality, this guy doesn’t exist. The website with the information about him was created for the sole purpose of advertising a horror movie. Louise Delage’s Instagram account proves that you don’t even need to exist to become famous. At first glance, you probably won’t notice anything odd in her pictures, except for one thing: she is almost always holding an alcoholic drink. Do you think she has a serious problem with alcohol? Not really. She doesn’t even exist in real life, and her account was created to raise awareness of alcoholism among young people. If you ever find information about Prince Harry’s secret wedding, or if you ever see a rare historical picture where John Kennedy hugs Marilyn Monroe, please don’t believe it right away. Even if these images have never been Photoshopped, it doesn’t mean they are real. There are so many photographers who specialize in these kinds of photo shoots with fake celebrities. You’ve probably seen such posts in your newsfeed. Maybe you even posted something like this on your own page. In reality, these notifications are meaningless and won’t help you to protect your copyright. This myth has been circulating in social media for a few years, and it’s probably going to keep popping up in your newsfeed for a while. Sometimes you can really win something like movie tickets or a makeup kit, but you’re not very likely to win money through social media. Surprisingly, many people trusted Bill Gates’s generosity to give money for reposts. 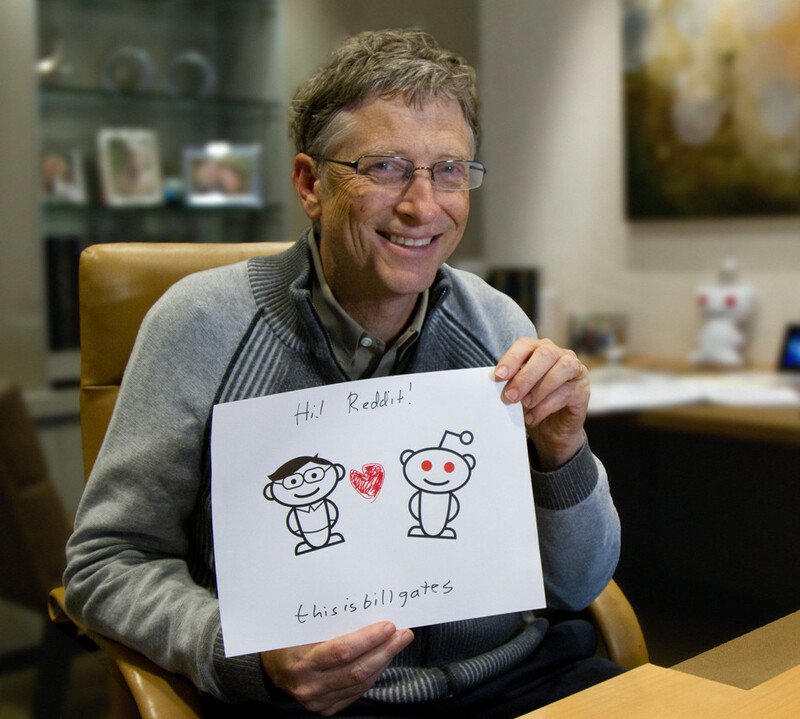 By the way, unlike the image in his hands, Bill Gates is real in this photo. Every year, social media users receive various hacker attack warnings. The text of these warnings is pretty much the same except for the names of the mythical hackers. This year, for example, they were Jessica and Christopher Davis. Even though hacker attacks could be a real threat, these warnings shouldn’t be taken seriously. The real hackers don’t need to become your friend on social media to hack your account. Did you hear about the planet Nibiru that became visible from Earth? Or when Mars looked as large as the full moon? How about the 15 days of darkness in November? All of these facts were made up either by conspiracy theory believers or people who just wanted to have some fun online. Even when Mars comes closest to Earth, it can’t look as big as the moon. And Nibiru’s existence is just a hypothesis. This trick targets compassionate social media users who are not very well informed about such things. Unfortunately, all these “likes“ and reposts are not going to get any money to sick kids and animals. What they are going to do is increase the popularity of scam pages. The Facebook management team has issued multiple warnings, letting everyone know that they shouldn’t transfer money for ”likes" and asking them to report such campaigns. Everyone, including celebrities, is going to die one day. However, news about celebrities’ deaths doesn’t always mean that it’s time to start mourning. According to social media, almost all celebrities have already been "dead" at least once. One of the last victims of a fake death was Macaulay Culkin. But, as you can see, he is alive and looks even better than he used to. This is a very popular kind of online myth: various letters that promise to make you rich. You may read about a Nigerian prince who left his fortune to you. Or perhaps it’s a cosmonaut who needs your help to return home from space. Scammers will create any fake story to take advantage of naive readers. All these letters are different, except for one thing: they all ask you to pay some fee at the end. Once it’s paid, you can access your million-dollar inheritance or whatever else is being promised in the letter. It’s hard to believe how many people trust such letters and actually pay the scammers. When you see mysterious creatures or aliens caught on camera, it might really make you think about life beyond this world. They can look very realistic with all the techniques being used to create such images. For example, the old picture on the left was taken in modern times to create a humorous view of American life in the second half of the 1800s. And the mysterious photo on the right is a Photoshopped piece of digital art. Planes and boats are lost at sea all the time, but why is the Bermuda Triangle so famous? It’s quite simple: it is a journalist’s fairy tale. In 1950, Jones, a writer, was wondering how he could make some nice money. And so he wrote an article about the Cyclops — a ship lost at sea in 1918. He gave a spin of mystery by naming the article “The Devil’s Sea.“ And the Bermuda Triangle mystery was born — a place at sea with the ”anomaly" of ships and planes disappearing there.